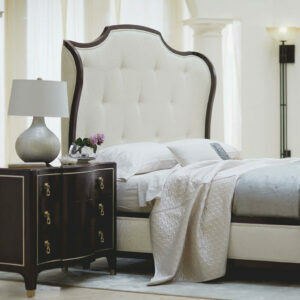 Bernhardt is regarded by many as one of the most-elegant furniture brands that is still reasonably affordable. Their furniture exudes sophistication and modernized finishes, all embodied within sleek modernized neutral tones and elegant upholstery. Bernhardt definitely offers a more feminine styles with subtle curves and ornate inspiration, but certainly deliver more powerful masculine Collections with dark leathers and powerful form, such as their Normandie Manor collection. Bernhardt Furniture has been around for more than a hundred years, and in that time has mastered the artistry of crafting elegant and luxury furniture capable of enriching any space. Bernhardt is a family-owned furniture brand that got started in the 19th century—meaning they are operating in their third century of business currently! Throughout this time, they have seen trends in design come and go, and are well-aware of those that are more than mere fanfare. Bernhardt’s ability to distill the most timeless and relevant designs are near un-paralleled in the furniture world—considered to be one of the best furniture brands around—and many designers regard them as a go-to trendsetter. As with many great furniture companies in the modern industry, Bernhardt can trace it’s roots back to North Carolina, where they currently operate more than 10 manufacturing facilities and run a 75,000 square foot showroom. This is a testament not only to Bernhardt’s success as a high-quality furniture manufacturer, but also to their avid awareness of how important it is to support local economy and business. In a time when many furniture manufactures have completely outsourced their manufacturing—Bernhardt remains true to it’s roots. Bernhardt also exemplifies responsible manufacturing practices and have committed themselves to lessening their environmental impact, and work to promote fair use of labor as well. All too often, companies are completely focused on their bottom lines without offering consideration for the world and people around them. Bernhardt has long since operated under the notion that responsible manufacturing is the best type, and with more than a hundred years of practice they know what they’re doing! You’ll notice that Bernhardt’s styles seem to be less-sensational than many modern furniture brands trying to make a name for themselves in the market. While this might not grab all the headlines—Bernhardt’s sophisticated style will remain relevant long after the tides have washed away those brands pandering to the ultra-sensational, and provide your home with long-lasting style. A Great Example of this can be seen in the Miramont Collection by Bernhardt Furniture, which displays elegant contemporary lines and soft linen upholstery. Many interior designers fall short in their appreciation of subtlety, often choosing overly-bespoken trends to anchor their designs to. While this may allow for a single piece of accent furniture to exude it’s presence to an entire room, it’s often a bit much when thinking in terms of entire sets of furniture. Bernhardt offers a full like of lifestyle collections suitable and harmonious to nearly any type of space imaginable. A good way of describing them would be to say that Bernhardt is artisan brand of furniture that is well-versed enough in large scale manufacturing to provide buyers with affordability. Their timeless designs leave very little to be wanted, yet their modern know-how of furniture manufacturing allows them to deliver high-end craftsmanship on a scale very few brands are capable of. Quality patterns and textures make a tremendous difference in the experience of furniture, and Bernhardt’s avid awareness of the interplay between the two work to create truly remarkable collections. Bernhardt offer a wide selection of fine fabrics on their products, ranging from dark textured traditional pieces such as their Belgian Oak Parson’s Chair to the soft elegant presence of pieces such as their Tessa Slip-Cover Dining Chairs. Truly, Bernhardt has an amazing range of design awareness and orchestrate a beautiful symphony of materials and tones in nearly all of their collections. Sometimes the subtleties of fabrics are considered to be only peripheral aspects of a design, yet quality patterns and textures make a tremendous difference in the experience of furniture. Cheap sofas that capture a ‘look’ but omit consideration for actual enjoyment are quickly becoming irrelevant for anywhere other than professional waiting rooms—such as the doctor’s office. For those that actually care to experience their furniture, quality materials and comfort are of utmost importance. Bernhardt truly understands this, and delivers designs that look as good as they feel. Bernhardt is one of the most-established names in furniture and can be found in many local furniture stores across the country. Given that their brand is considered a medium-to lower high end price range, most local shops only carry a few select pieces of Bernhardt furniture. To find a local dealer near you, visit the Bernhardt dealer locator page. They have a factory outlet in Hickory, and are also largely featured in such stores as Furnitureland South—the world’s largest furniture store located just outside of High Point, North Carolina. If you’re looking to find the best deal on Bernhardt furniture, your best bet is to shop online through trusted furniture retailers. Wayfair is regarded by most as the best place to buy furniture online, and they have a large collection of Bernhardt Furniture available. 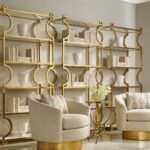 Additionally, Bernhardt Furniture can be purchased through several other online outlet stores, most of which offer free shipping. Shopping for your furniture online can easily save you up to 40%, especially on luxury furniture brands such as Bernhardt. Many online retailers are not even allowed to display the price because it is below the minimum-allowed price for advertising! Buying new furniture can be an overwhelming experience with all the options floating around. The large price tags of most items make the experience even more frustrating, with anything on sale seeming that much more attractive. This type of price fixation can greatly distract from the quality of furniture, which will ultimately resonate deeply with how happy you are with your purchase. 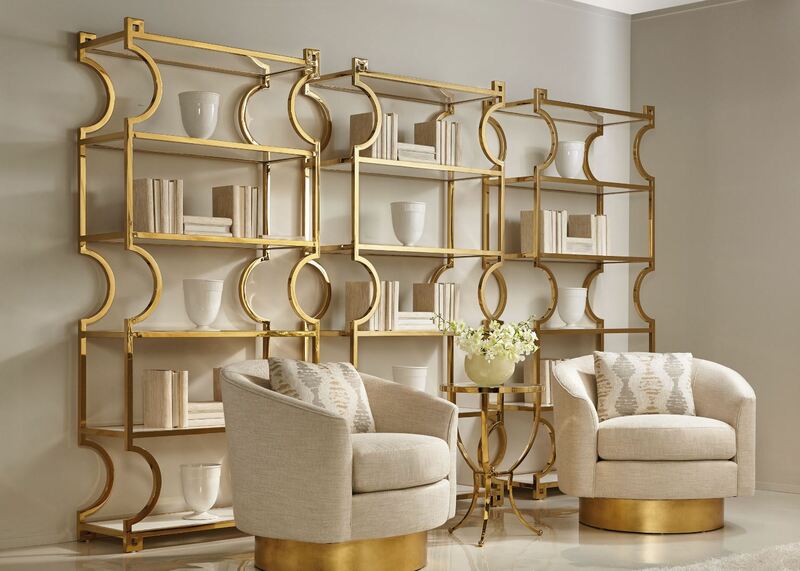 By paying close attention to which furniture brands are the most trusted to deliver high-quality products, such as Bernhardt, you can then be on the lookout for great buying opportunities. Local furniture stores will almost always be more expensive than online retailers, and shopping for your furniture online can easily save you up to 40% on a regular basis. Online furniture shopping has become so popular, that even Amazon has began investing heavily in their own furniture category! Overall, furniture can be one of the most rewarding investments you can make for improving your daily lifestyle, and Bernhardt represents one of the most-trusted and most-effective brands for helping you do so with confidence. Bernhardt is considered on of the best furniture brands in the industry, and offers a full line of elegant and luxurious designs for any room. They're been in operation for over 100 years, and are committed to responsible manufacturing practices and environmental stewardship.